The day began with temperatures hitting -4.5 , but for me this was a good sign, as the recce had been awful in the heavy rain and -4.5 meant the chances of rain were minimal. MrLee was quick to set up his amber wall tyre emporium and with tail gate high business began with the exchange of cash and promises of paypal transactions, I must say they are great tyres for the price. 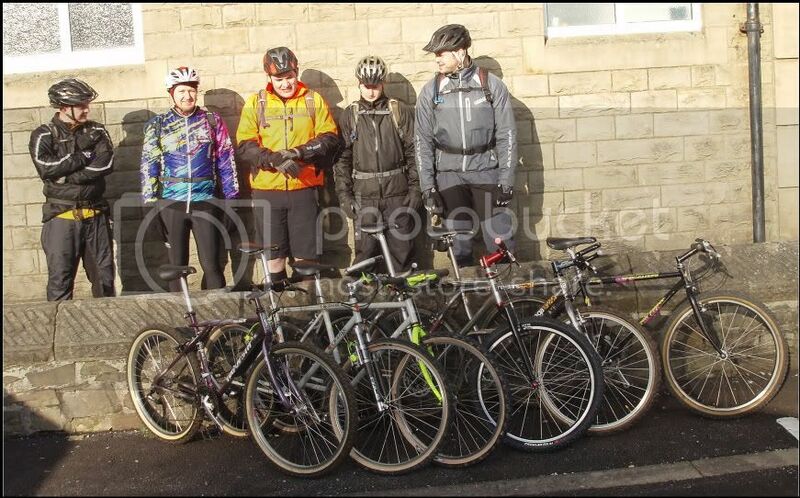 After we were all acquainted and bikes had been fettled with we were ready for the off, but not before the obligatory line up photos. The Bikes: GT Tequesta, Orange Clockwork, Marin Palisades Trail, Giant Terrago, Alpinestars Ti Mega, Specialized Rockhopper comp. 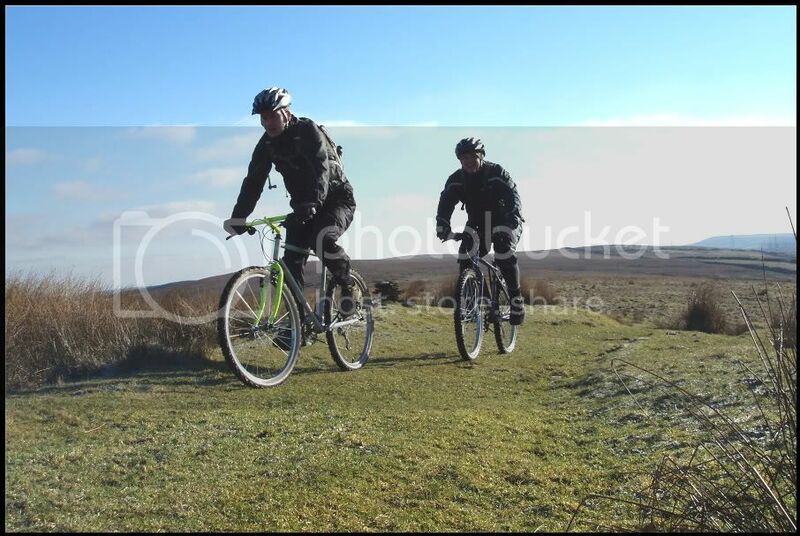 After giving up looking for the self timer feature, I had used many times before, the riders picture was taken without me in it. 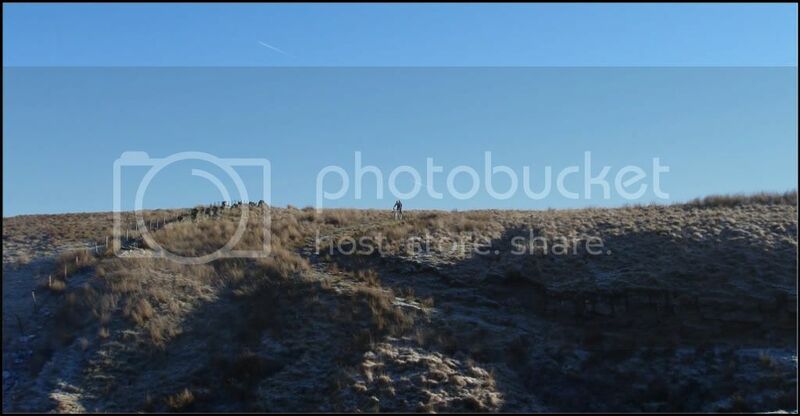 The Riders: Mr Lee, sinnett177, Brocklanders, Beavis, giant-one, and the inept camera user HarryCrumb. 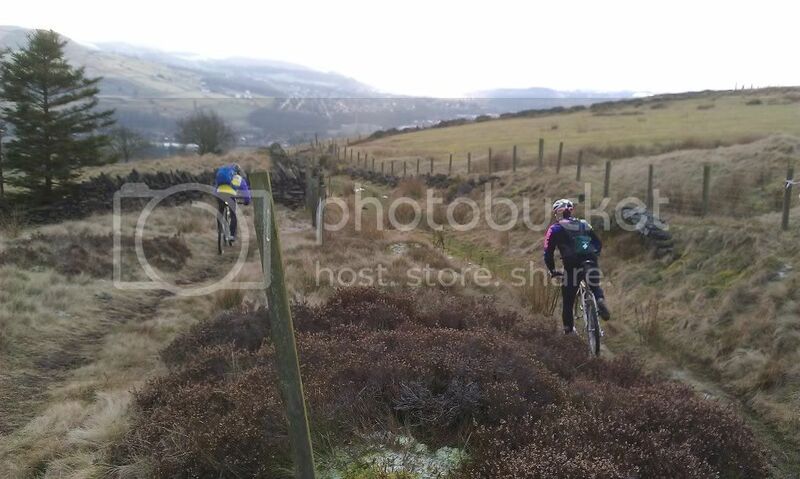 The ride took us along the river side from Rawtenstall into Waterfoot where we then began the climb up along tarmac, bridleway, and the frozen mud track to the descent from the signal mast into Bacup centre. 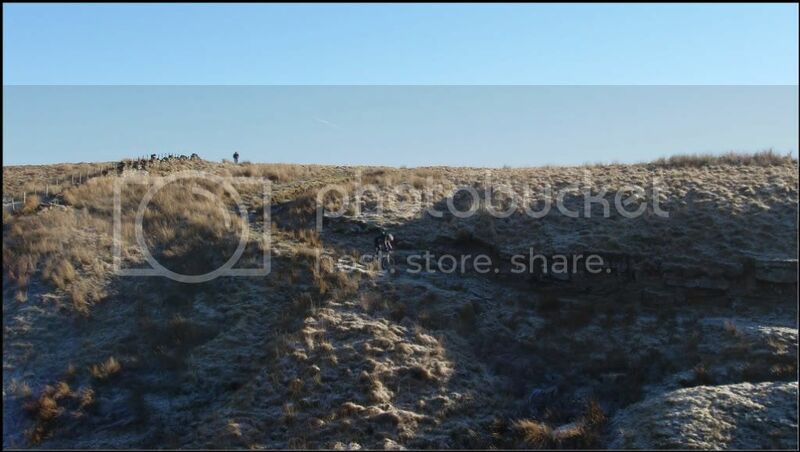 As the 1st half of this ride is all about climbing it was only fair we went up hill out of Bacup and joined the cycle route from Higher Change to its junction with the A681. Not forgetting Richards hold up at he was cut off by the reversing manoeuvre being made by a blind motorist from a farm. The true off road part of the ride begins here, as urban life is left behind. We made our way to Heald Top Farm, where we were greeted by a duck, dog, and friendly resident. 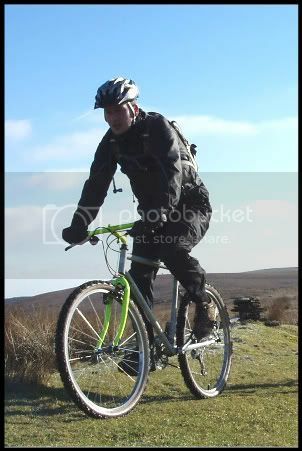 Those who were there will remember this bit as the piece where you really did hold onto you bike for dear life. 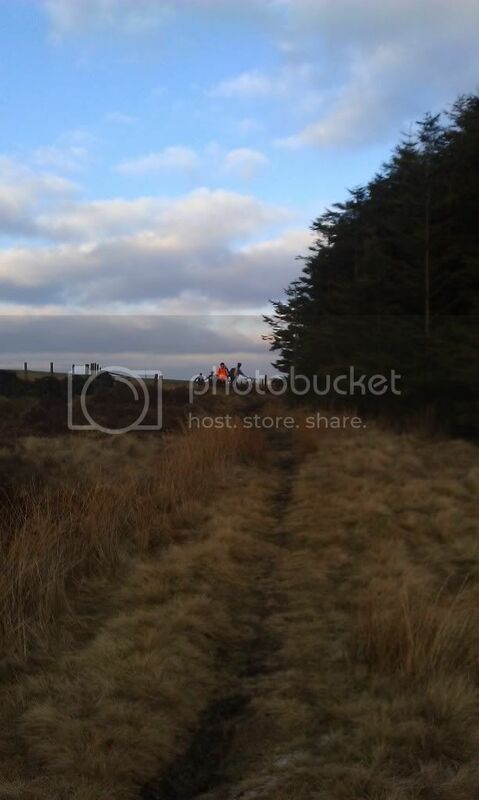 We worked our way across Heald Moor where we stopped for a break and quick photo shoot. 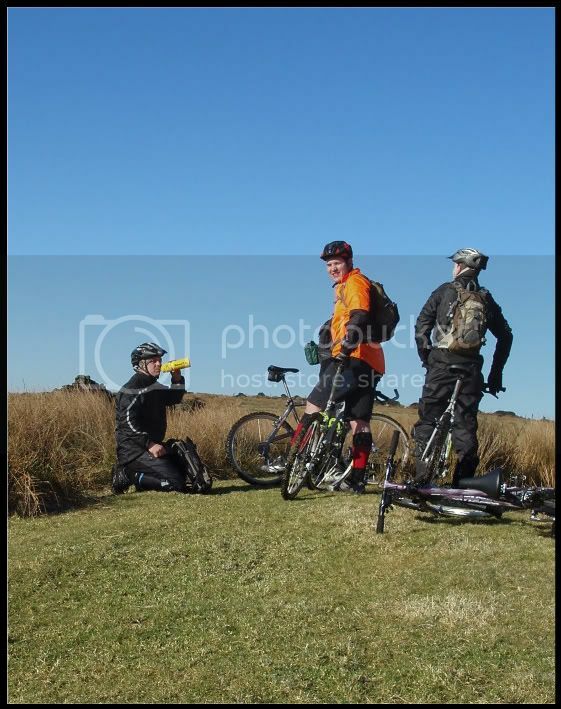 Once we were back on the bikes we were soon up to the Beacon on the Burnley Way, where I left the group with mark so that I could take in the down hill ahead to set up a vantage point for some action shots. 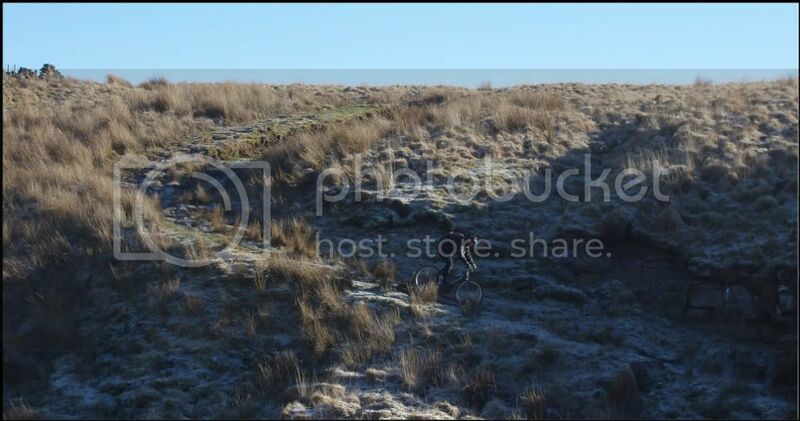 This was a great bit of moorland track across Deerplay Moor where I took advantage of the cold hard ground unleashing the 46T Pace chainring. 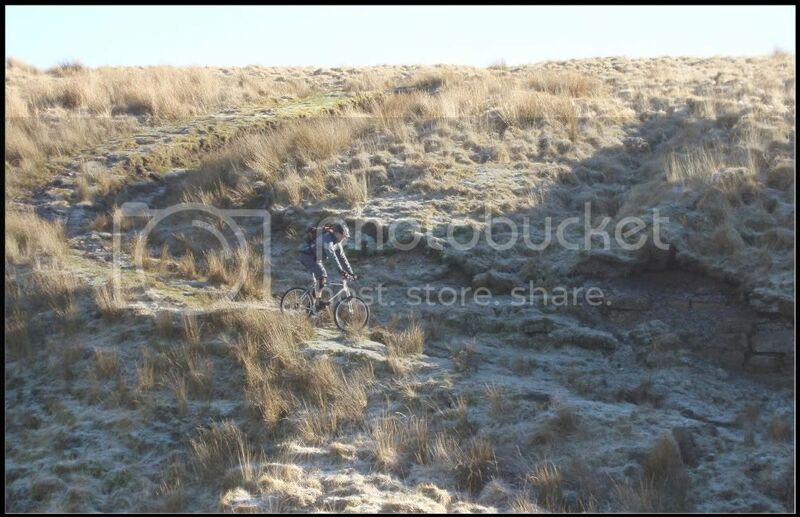 After the wrist crushing downhill of doom we had the dog leg of death, where Mark’s elegant dismount was not caught on camera by the button fumbling Crumb. Giant-one enters the Dog leg of Death with already near jellified arms from the wrist crushing downhill of doom. 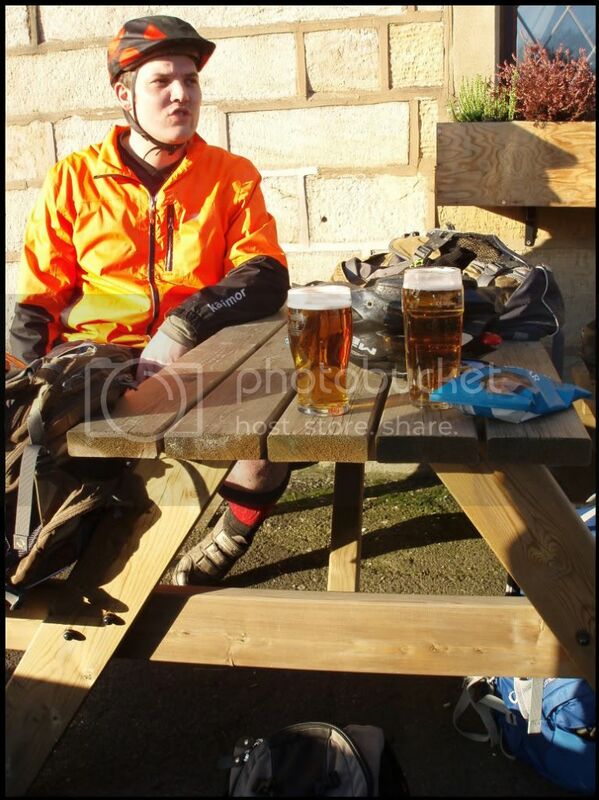 We left bridleway and headed up the A671 in search of food via a 1 mile each way detour to find the pub was closed. 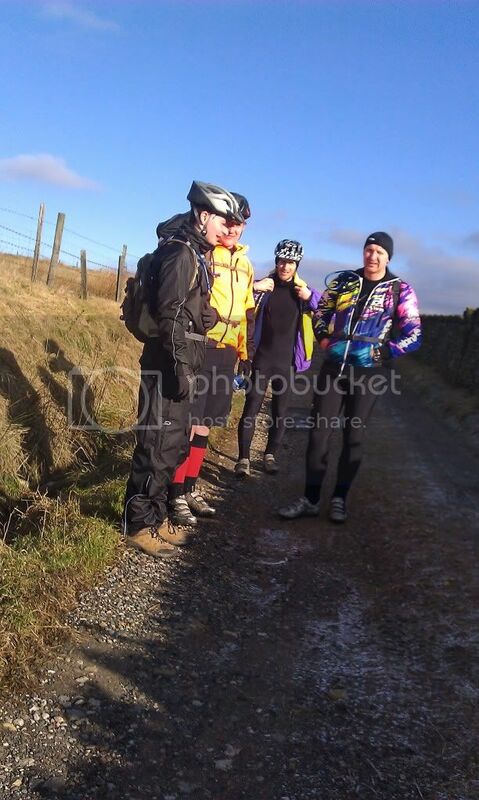 The second food stop option was several miles away in Lumb. 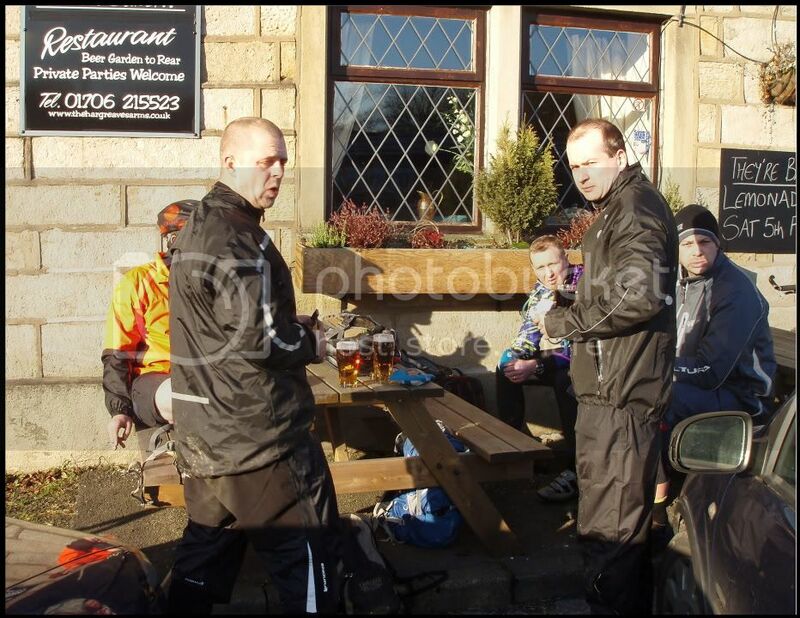 We arrived at the Hargreaves arms via the path of the ice slick and to top it off the pub we had stopped serving food. 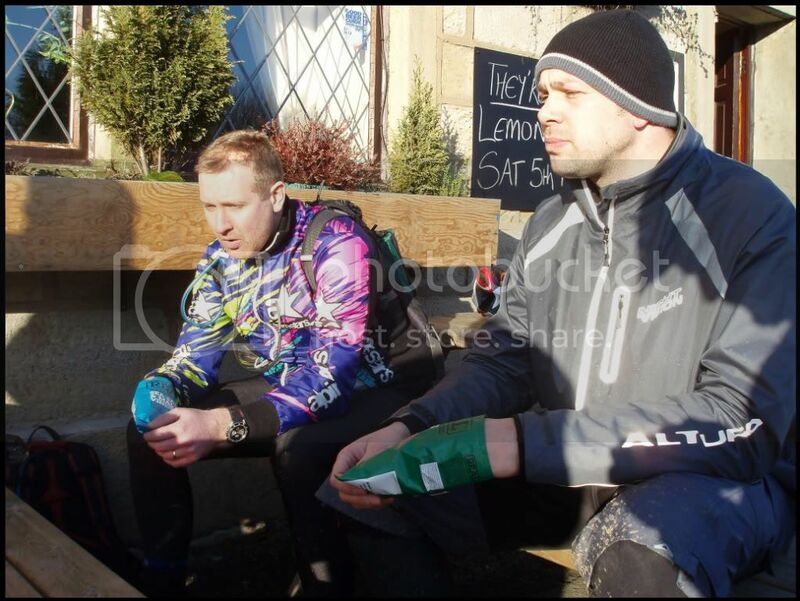 Mark and Richard tucking into their bar snacks, the only food on offer. The faces are near mutiny after the false promises of food, to be later forgotten by the sight of the local Greggs store in Rawtenstall. 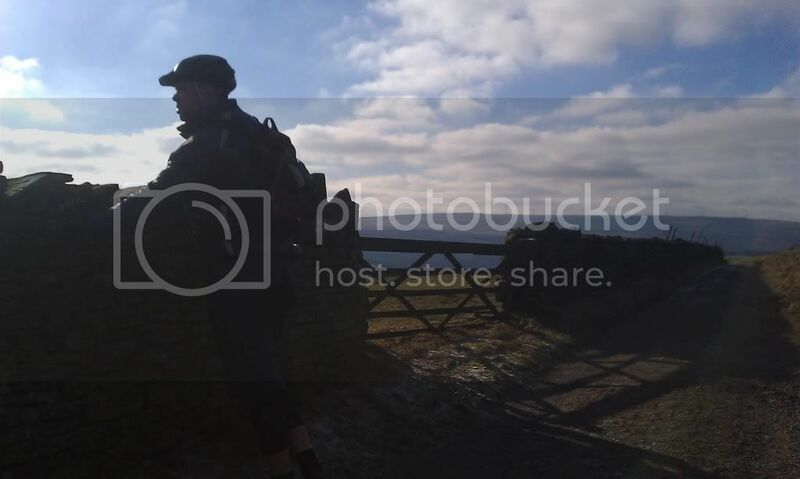 From Lumb we followed the ByWay joining Lumb and Rawtenstall, where we took the oportunity to stock up on food before we arrived back at the car park. 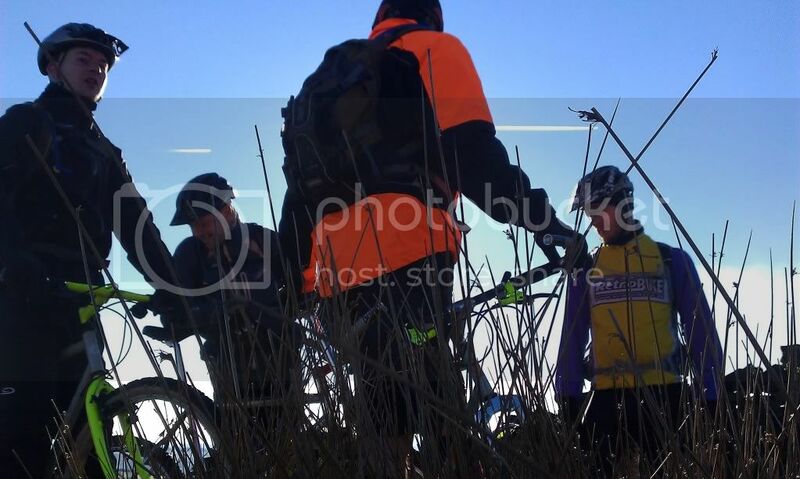 A great ride with a good variety of trail, I hope it wasn’t too disorganised being my first outing. Last edited by HarryCrumb on Mon Jan 31, 2011 7:23 am, edited 3 times in total. 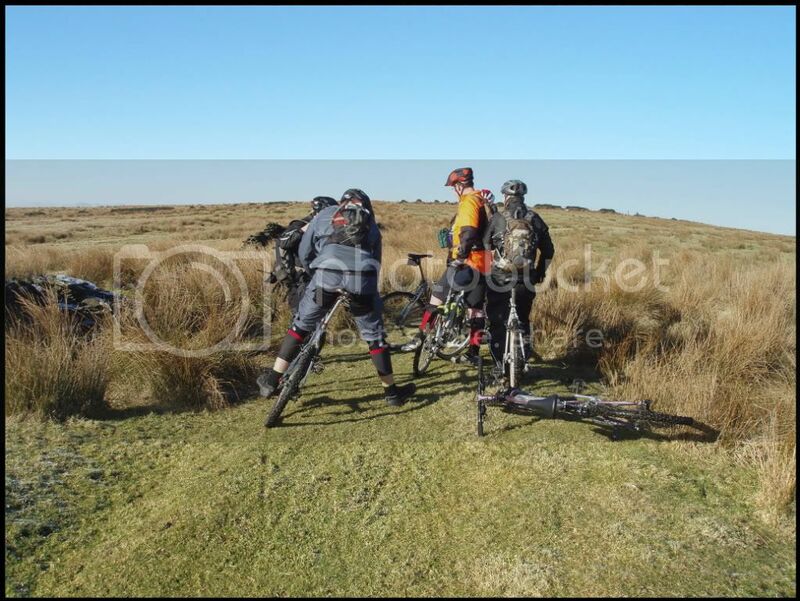 Just like to thank Martin, Mark, Lee, Edd and Graham for a fantastic ride today. Really sorry that I couldn't make this, but something cropped up on Saturday and kept me away instead. 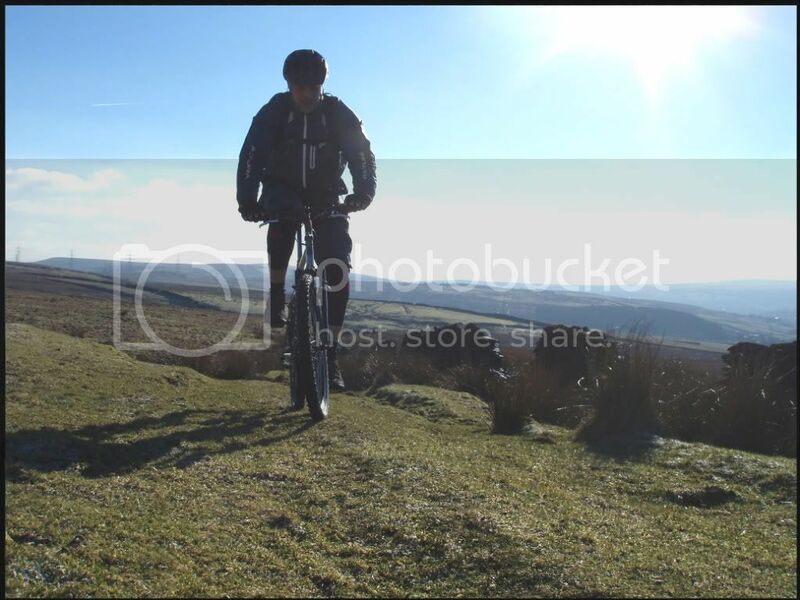 Looks like you had a good ride and the weather was great. Nice selection of bikes too. You would've put mine to shame. Any more photographs would be great to see as well, but they'll probably only make me regret not being there even more. 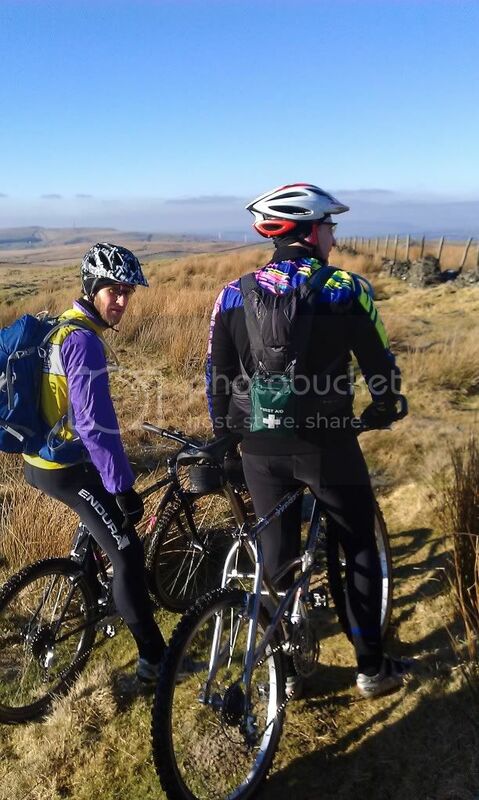 A top day in the saddle around the Rossendale Valley, thanks to Martin for organising and Brocklanders, Beavis, Giant-one and Mr Lee for turning up and providing great company. - DryStonePiker, award yourself a sticker Paul. - Tyre sale, Mr Lee's car boot skinwall sale. - Pubs that don't serve food. - Nice bikes and nice people. i never thought greggs would be so appealing, im having probs up loading my pics so will sort tomorrow , great to see you all again . Last edited by mrlee on Mon Jan 31, 2011 7:42 pm, edited 1 time in total. 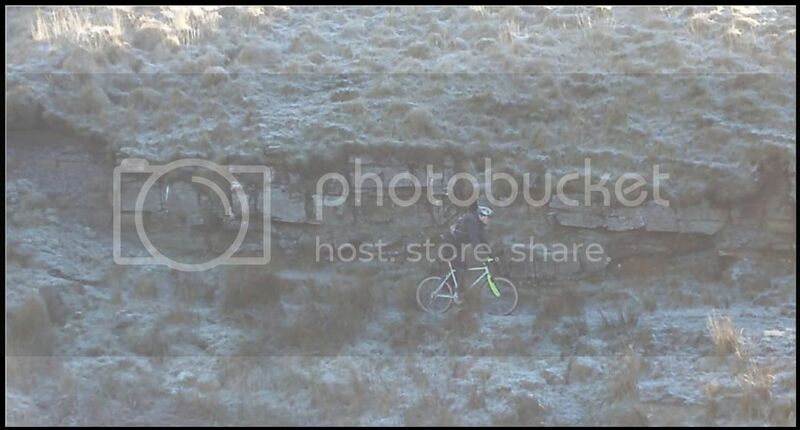 Oh yeah forgot about that ice puddle you hit as I was following you. Brrrrrr. Had a great day chaps, thanks. 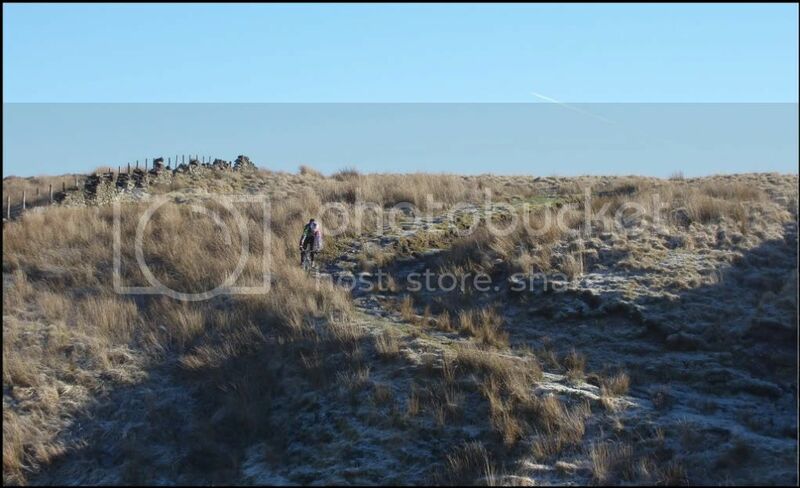 Lots of hills so should have done me some good and I'll look forward to catching up at Settle. I'll have a look at the forks tomorrow Lee. picures now added from me. 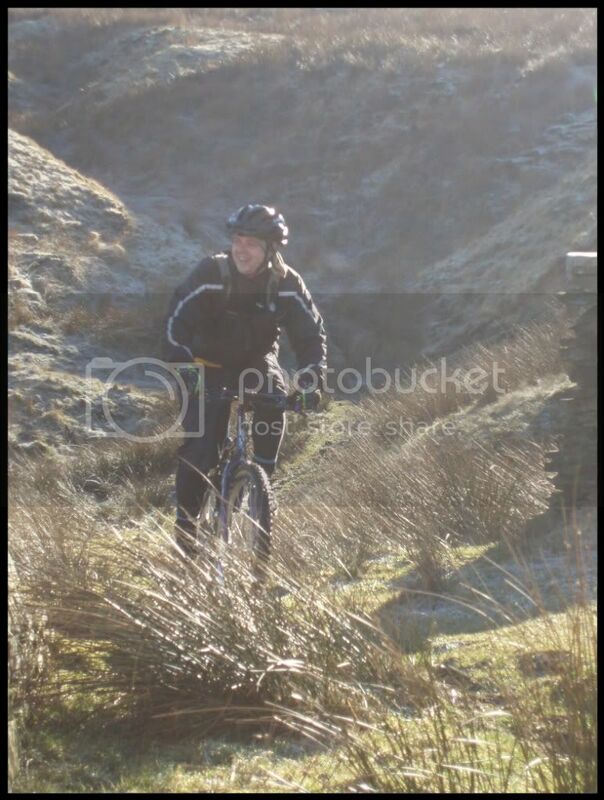 Ace pictures to complete a great day in the saddle! 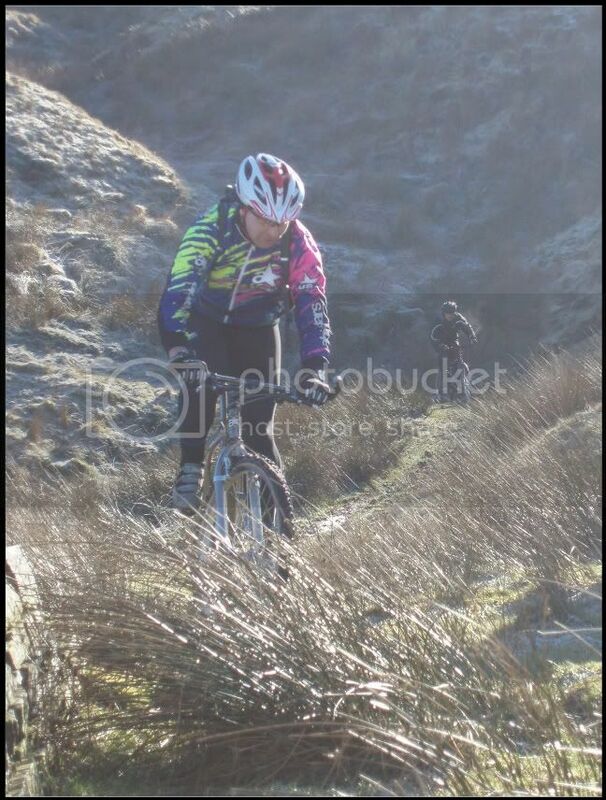 Looking forward to the next ride, might try those new tyres..